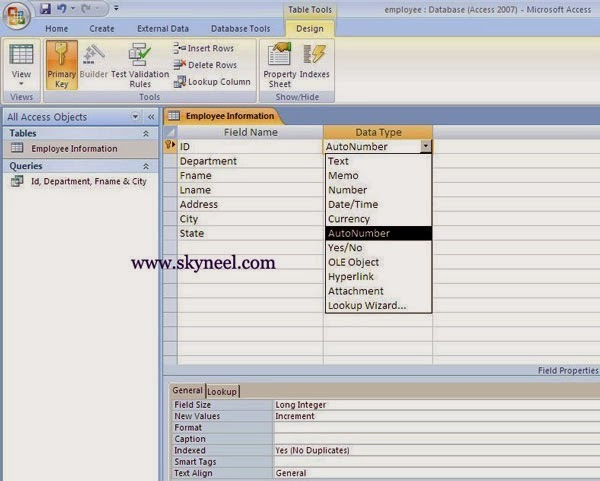 Hi, guys today we talk about how to create database table in Ms Access. A database is a collection of information like tables, query, form and reports which are related to each other. Ms-Access allows you to manage your important information in single database file. The default extension of Ms Access 2007 & above is .accdb. This takes the place of the MDB file extension. Ms Access database have four major parts in : Tables, Queries, Forms and Reports. 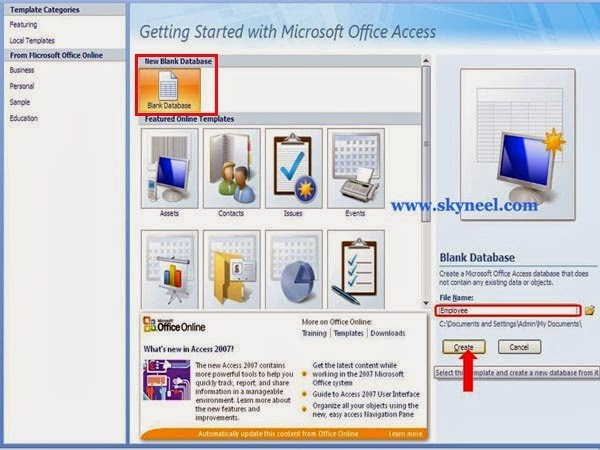 Start Ms Access either by clicking Start -> All Programs -> Microsoft Office -> Microsoft Office Access 2007 or Press WIN+R key to open run dialog box then type ms access then press enter key. 3. Now click Create button. Microsoft Access automatically creates a new table in the database called Table1. This is a temporary name until the table is saved. There are 2 basic views when you work in a table: Design View and Datasheet View. 1. 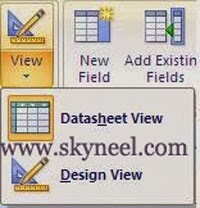 Design View is used to set the data types, insert or delete fields, and set the Primary key. 2. Datasheet View is used to enter the data for the records. By default, Ms-Access places you in Datasheet View. 1) Type a name for the first field in the table then press enter key. 3) Now select a data type as per requirement. 4) Type any description for the field if required then press enter. Now continue this process until all required fields have been entered into the table. Note: The order that you enter the field names is the order the fields will appear in the table and on a form. The Primary Key is the unique identifier for each record in a table. Microsoft Access can not accept duplicate entries in the Primary field. MS Access by default sets the first field in the table as the Primary Key field. 2. Position your cursor in the field you wish to set as the Primary Key. Once you have entered the fields and set the data types it is now time to enter the records in a table. Click Design Tab -> View option -> Click Datasheet View. When you feed data into the table, Ms- Access automatically saves the data after each new record. Now press Ctrl+ W key to save and close active table in database. Now double click to again open to view, modify the records. Use the following given arrows at the bottom of the table to navigate among records. 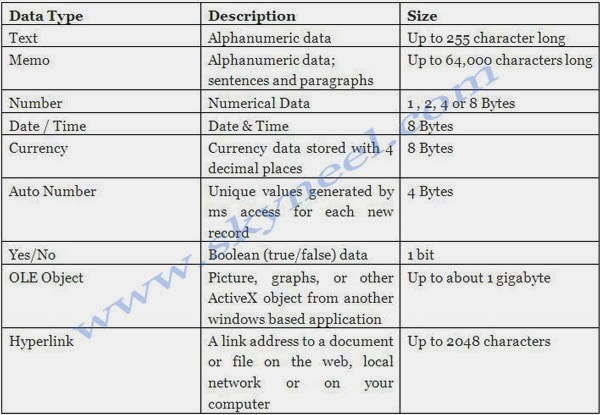 I hope you like this create database table in Ms Access guide from which you will be able to easily create database table in Ms Access without any extra efforts. If feel any problem in this guide then please use comment box. Thanks to all.